If someone asked you, who should eat more of proteins or carbohydrates or vitamins, what would be your answer? Everybody needs to eat all kinds of nutrients, but the proportion of nutrients will vary for each person depending on age and physical requirements. For instance, growing children need more proteins and carbohydrates than adults. They also need sufficient supply of energy-rich carbohydrates. The same principle applies to your investment portfolio too. Each person needs to have a mix of equity, debt funds, gold, real-estate and other assets in his/her investment portfolio. But the proportion of each asset will vary for each person. Thus, everyone needs to have some exposure to fixed income assets like Debt funds. 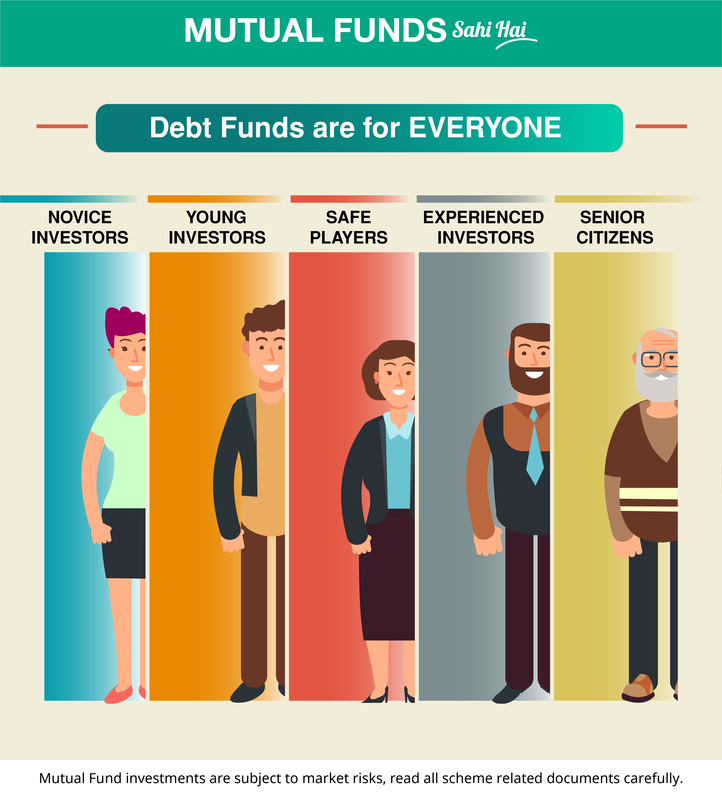 Senior citizens need to allocate more of their portfolio to Debt funds than youngsters in their 30s. 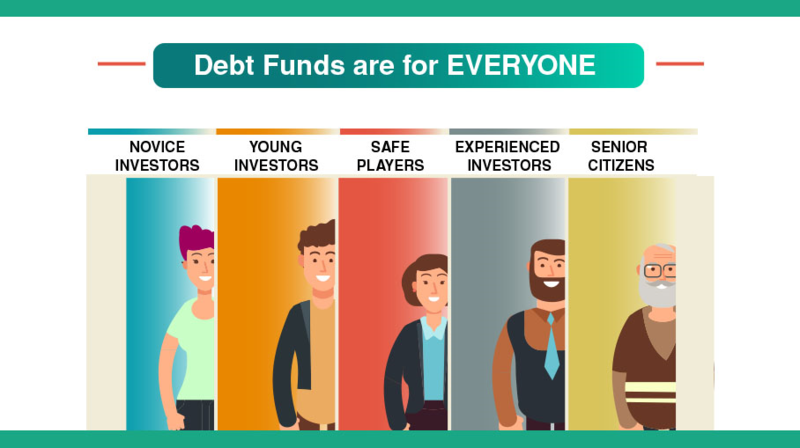 Amongst the youngsters, a conservative investor who is uncomfortable taking high risk should invest more in Debt funds than his peers who may be more comfortable with the volatile nature of equity investing. As a thumb rule, it is recommended to allocate a proportion of your portfolio equal to your age to fixed income assets like Debt funds. New Mutual Fund investors can also start with debt funds.